Injectable moisturiser fillers boost hydration, and reduce fine lines and wrinkles in one simple step; definitely something worth a go if you’re interested in skincare! These fillers are similar to the hyaluronic acid fillers that we use to add volume to the face, but with one major difference; these products provide hydration and glowing skin rather than adding volume to the face or changing its shape. The most well-known brands include Juvéderm Volite, Restylane Vital and Vital Light, Teosyal Redensity 1 and Teosyal RHA1, Profhilo, Stylage, Hydro and Hydro Max. Let’s get technical. These products come in two basic formulations; crosslinked and uncrosslinked. Crosslinked means the chains of hyaluronic acid are chemically bound together, which means they have a longer lasting effect which is more typical of a regular hyaluronic acid dermal filler. The second type is uncrosslinked, which means your body will absorb them in 24-48 hours. Both versions stimulate collagen and elastin production in the skin and in most cases it’s better to sign up for a course of treatments. The number of recommended treatments varies according to the type of product used. Some of them also contain other skin-boosting vitamins and minerals to promote optimum skin health. Apart from hydration, the other benefits of injectable moisturisers are stimulation of new collagen, skin tightening, fine line reduction and wrinkle improvement. They can also be used in areas of acne scarring, or anywhere else the skin is looking generally lacklustre. The exact procedure depends upon which injectable moisturiser is being used. 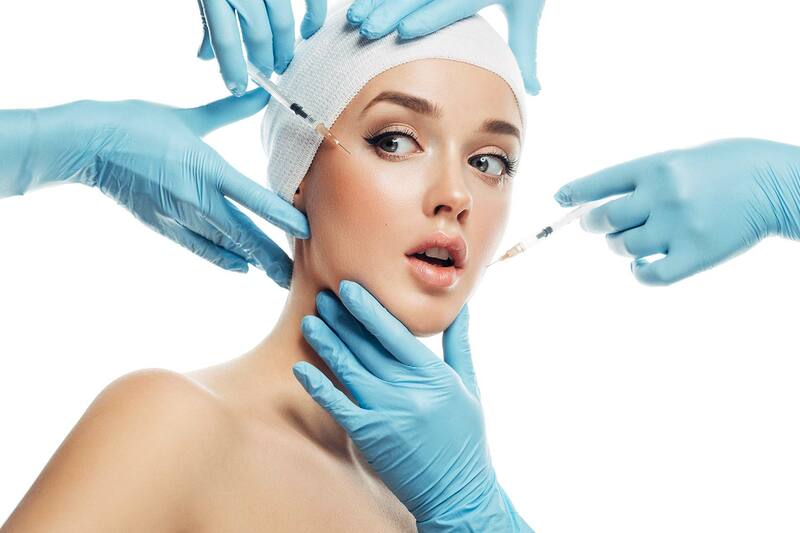 Some are similar to mesotherapy and consist of multiple small injections over the targeted area. For these treatments, we sometimes use topical anaesthetic to improve comfort levels. Others like Profhilo have suggested injection methods which can provide some lift as well as hydration. Tough areas like under eye dark circles can also be dealt with, and this treatment is carried out with only one injection point per eye to maximise comfort. They can even be used in areas like the knees and elbows to help reduce wrinkles, and other popular body areas include the neck (which is very hard to treat with other methods) and décolletage. A lot of women (and men) contact me for advice on topical skincare regimes to adopt alongside their procedures. In this instance, I don’t usually recommend the use of a moisturiser (unless they have eczema or another skin barrier dysfunction) because it actually stops the skin producing its own natural hyaluronic acid. I would however recommend AHAs (alpha hydroxy acids) and BHAs (beta hydroxy acids) as they will also boost moisture levels. Got a skincare issue you want covered? Tweet me @TheLovelyClinic!